Prerequisite: download iBackground Scripts application. 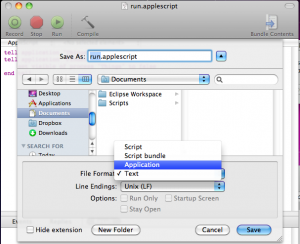 This small application will help us to hide the running script icon. 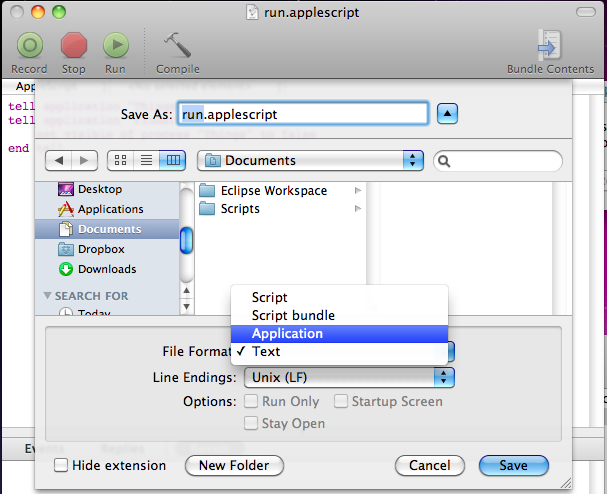 Open the script with apple script editor, and save as Application. Drag the saved .app file on iBackground Scripts, and select "yes" in the pop up window. 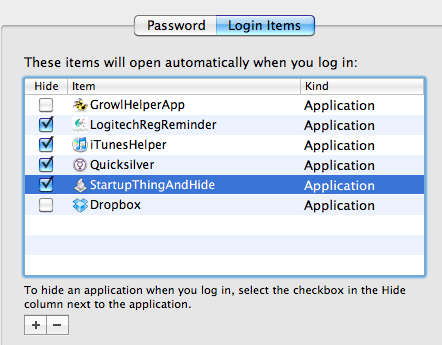 Go to Accounts panel in System Preferences, drag the script into the 'Login Items' tab. We are done. Try to logout and login again, see if this works.